Our Contract Bidding technology is powered by the ideas and suggestions from our member base. It is developed by and ever present and vigilant team that understands our core. 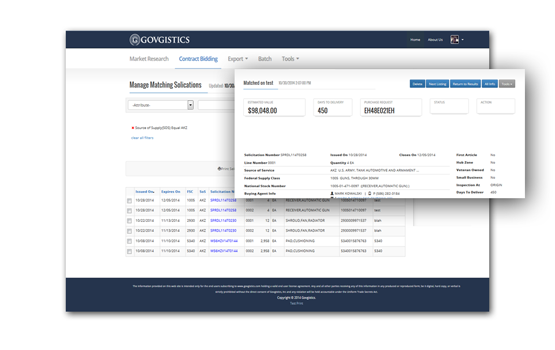 The suite of tools available through our Contract Bidding allow for the creation of saved searches for the continuous delivery of potential bid opportunities with a full set of controls or filters to manipulate the data which is delivered with FULL FLIS and procurement history. Customize your saved searches by casting a wide net or compound them with various variables such as Set-Aside, Quantity, AMSC, Value and more. Additionally, alongside your saved searches, access a FULL global DoD solicitations search engine to ensure that an opportunity is never missed. Our Market Research technology is a thorough and complete National Stock Number and CAGE Code database with procurement history spanning 70+ years. It is built on procedures and algorithms that support the ever growing needs of our members to provide them with the data and tools necessary to make accurate and informed decision. This is where simple tasks are run such as looking up an NSN cross referencing parts to NSNs, pin-pointing relevant NSNs that fit your search criteria, obtaining AEL/APL data and researching CAGE Codes or companies and running advanced analytics on competitors. 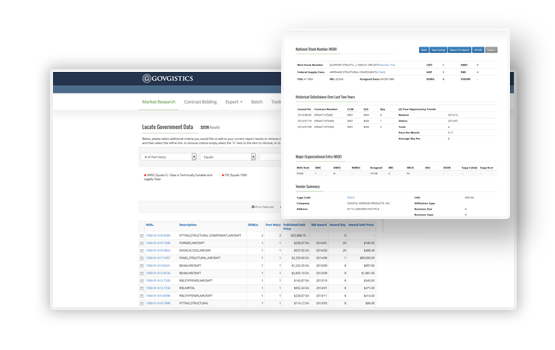 This is also where more advanced searches are conducted such as quickly obtaining how much your competitor sold to the DoD in the last ten years, each of the 10 years, what was sold and how much – all designed to gain an advantage in the marketplace. 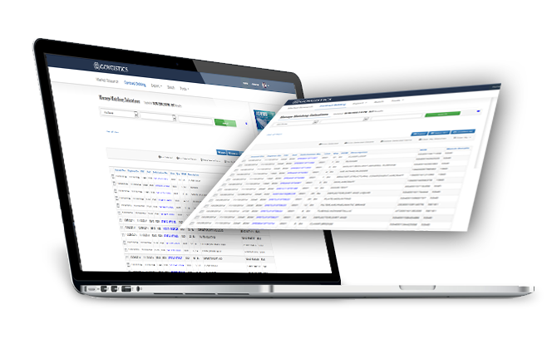 Our Data Export technology provides our members with the ability to search, filter and export the data they find relevant in order to contribute to the efficiency by which they do business without being relegated to rerunning the same searches to get to the sought after information. 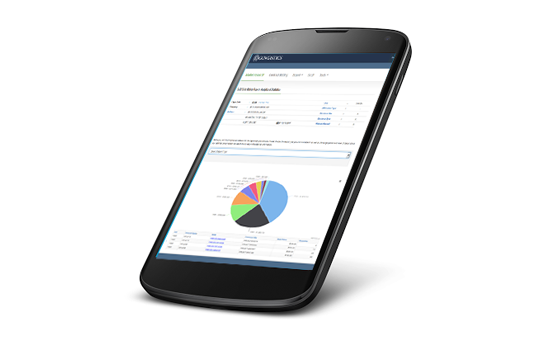 Our Batch Search processing technology automates and combines Contract Bidding, Market Research and Data Export by running and creating FULL AND COMPLETE reports on thousands of Parts, National Stock Numbers or CAGE Codes, in minutes, which include – Part/NSN availability for purchase and by whom, FULL FLIS, Procurement History, GSA Specific Procurement History, ALL open solicitations and more.